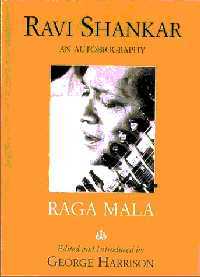 The man (born 1920), whose name has become synonymous in the west with the classical music of India, sitar player Ravi Shankar, offers a detailed memoir of his life, enhanced by added commentary from many notable performers and close friends (most significantly Oliver Craske). In eloquent, clear prose, Shankar reminisces about: his parents and his childhood in Benares, India; his teenage years dancing in eldest brother Uday Shankar's troupe when they toured Paris, Europe and New York in the 1930s; his commitment to music and the sitar and discipleship under guru of Hindustani classical instrumentation Allaudin Khan; his early career at All India Radio; his milestone moves to the west pioneering widespread appreciation of Indian music in Europe and America in the 1950s and 1960s; his 1966 meeting with George Harrison which led to lasting friendship, collaborations, a 1986 book, My Music, My Life and pop superstardom. Shankar recalls how, although he became an established international musician, he managed to combine time in India with frequent trips abroad for concerts, recordings and festivals. In addition to relating details about his professional experiences, (most vividly Woodstock, Monterey Pop, the Concert For Bangladesh, joint performances with Harrison, Yehudi Menuhin, and the London Symphony Orchestra, plus tours to every corner of the globe) and how this fame was criticised for 'commercialising' his heritage, Shankar asserts he always sought to enlighten western audiences about the principles of Indian music and to inculcate in them respect for his sacred art. Shankar's profound spiritual beliefs and philosophy of music and art in general get significant coverage here in addition to discourses on the history and technique of his craft, which can get quite technical (a handy glossary can be found at the back of the book). Shankar, along with his accounts of his publicised presentations and recordings, describes how he also composed film scores (especially for Satyajit Ray), set up music schools in India and California, took on disciples, wrote books and served in Parliament. Nor does this brilliant polymath neglect to describe his personal life: his family, friends, his health, his encounters with celebrities (besides the Beatles, Gene Kelly, Richard Burton, Peter Sellers, Marlon Brando, etc), saving the most lyrical and introspective passages of his memoirs for the tragic, early death of his son Subho, his relationships with wives Annapurna and later Sukanya, and his daughter and musical heir Annoushka. Accompanying the text printed in a charmingly distinct typeface (with a hint of Sanskrit-like stylisation), can be found an enormous number of photographs depicting every aspect of Shankar's life plus letters and musical transcriptions. The last mentioned functions to produce a survey of Indian music in the 20th century for this man's career practically is Indian music in the 20th century. In conclusion, Shankar ruminates on the 50th anniversary of Indian independence, speculates on the path Indian music may take in the future and reveals his gradual adaptation to a more settled daily life. Deliciously dense with fascinating detail, Ravi Shankar's life story, embodying east meets west in every possible sense, makes for a remarkable reading experience. To this surprisingly frank account by one of the 20th century's great talents, Shankar brings the same dynamic qualities that makes him such a distinguished human being and musician: a blend of charm and candour; dignity and humility; spiritual depth and sparkling sense of humour; and a never-ending thirst for knowledge, exploration and growth. Read this book, still in print and readily available through online sources, with its helpful timeline and be enlightened while reaching for those Shankar tapes and CDs.